Inclusivity is at the heart of BE FESTIVAL’s manifest and our BE Next project is testament to our ongoing commitment to providing opportunities for young people to learn life skills through performing arts. 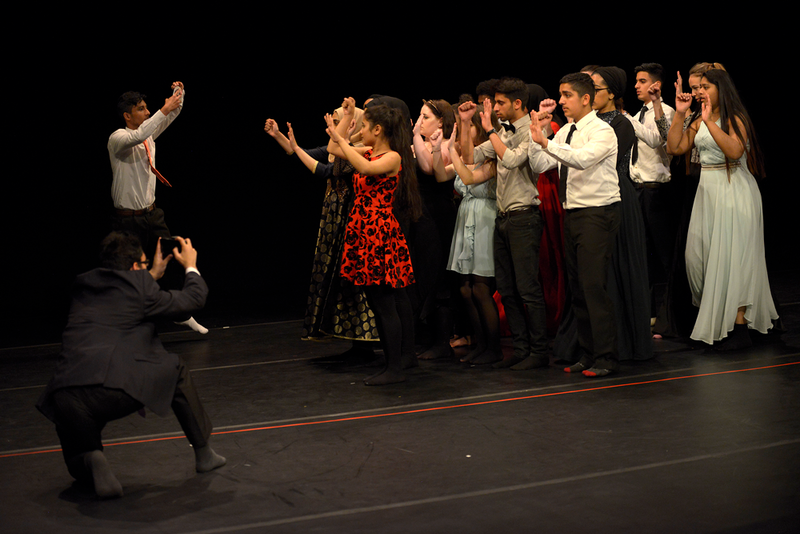 The annual festival performance is the culmination of a week’s workshopping by local 14-19 year olds in Birmingham led by professional tutors and previous BE FESTIVAL performers Nasi Voutsas and Bertrand Lesca. The project is specifically aimed at young people that don’t speak English as a first language, refugees, asylum seekers and those who are homeless or at risk of being homeless.